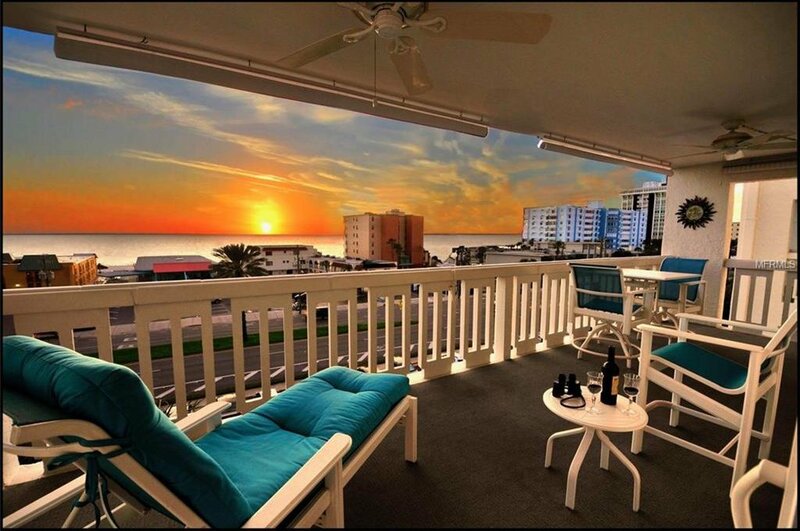 What could be better than a condo with a breathtaking view of the Gulf of Mexico? How about a condo that has been 100% renovated. This impeccable 2 bed, 2 bath condo has a ‘WOW’ factor that is rarely found.Open the door and your eyes will melt as they compete to take in the stunning views, the sheening porcelain floors, the all new kitchen’s solid maple cabinetry, the spacious center island, dry bar and the high end Granite and stainless appliances. Various accent lighting creating just the right atmosphere for showing off your culinary skills. Continuing on into the spacious dining/living room area, then directly to the tranquil azure colors of the Gulf from your own private balcony.But it does not stop there. Painstaking attention to detail is exhibited throughout this home, continuing with two unique, exquisite bathrooms, featuring porcelain floors, top of the line glass door showers, multiple in-wall niches, and a built in Granite bench seat in the Master shower. Both bathrooms boast solid maple vanities, high end Granite and various accent lighting controls. This is truly a ‘must see’ kind of condo. Beach access directly across the street to the beautiful sands of North Redington Beach. Restaurants and shops within walking distance. Family oriented community features 2 pools (1 heated), a new state of the art fitness center, large sports lounge, a library, outdoor grilling area, shuffleboard courts. Petfriendly. This condo is the perfect beach getaway, or ‘all year round’ beach living home. Listing courtesy of CENTURY 21 JIM WHITE & ASSOC. Selling Office: LUXURY & BEACH REALTY INC.